Looking for and then purchasing a home can be a stressful experience, but it can also be very gratifying. There are certain things that you can do to provide for a more successful home buying experience. There definitely are identifiable buyer traits that seem to translate into successful purchases. Be thorough and speak with a good variety of lenders before you make that all-important decision as to which one to use. 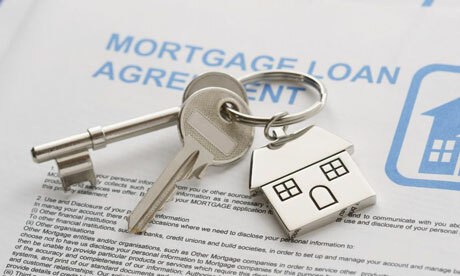 Having a good lender throughout the process is the key to having a good experience. Be decisive in figuring out what you must have in a new home, what you’d like to see in the new home, and what you definitely do not want in your next home. Knowing that you want three bedrooms and two bathrooms is simply not exacting enough. Your agent will likely uncover hundreds, or perhaps thousands of such properties. Now, if you further decide that you must have a three-car garage, and in-ground swimming pool, and an island in the kitchen, then your agent will be able to focus on the Huntsville-area properties that might be most truly of interest. Unless you are actually building a home from scratch, built with the exact specifications that you want, it’s unlikely that you’re going to find the “perfect” home. If you find and almost ideal home that lacks one or two of your must haves, a little flexibility at this point can make a world of difference. Finding “super-duper” deals on properties that are fairly decent is, for the most part, a myth. For example, most bank-owned real estate is ultimately sold at close to market value. Banks will not carelessly sell homes at deep discounts. So be realistic and realize that such deals are unlikely. Understanding the purchase contract ahead of time can be very helpful. You don’t have to be conversant about everything — that is your agent’s job. However, you ultimately will have to sign the purchase contract anyhow, and it will be less stressful if you understand it as you first enter into the process of purchasing real estate. In particular, maintain your credit worthiness during the mortgage approval process. Your agent will undoubtedly instruct you not to make any new purchases during that period. Honor that very important bit of advice. If you follow these various tips, this final “habit” will tend to happen anyhow. Look at this as a truly important, truly exciting time in your life. If you knowledgeably and confidently enter into the process decisive about what you want, this can be exciting journey that it was meant to be be. Ultimately, there is no guarantee that your particular buying experience will be totally successful. However, follow the habits noted above and you will have a better chance of finding that very special new Huntsville property, a place that will be home to many future memories.